Metal on metal hip implants manufactured by DePuy Orthopaedics Inc. caused serious complications for patients and had a high failure rate. Thousands of patients filed lawsuits against DePuy because they experienced metallosis, failure of their hip implant or replacement system, pain and discomfort, or other harm as a result of the metal replacement joint. hip implant lawyers in Boston know that many patients were required to have a revision surgery performed within five years after the metal hip implant was installed, thus incurring significant expenses and suffering both economic and non-financial loss. Now, Johnson & Johnson has announced that DePuy Orthopaedics has agreed to a settlement to compensate eligible ASR patients in the United States who had surgery to replace their ASR hip implant as of August 31, 2013. An estimated 8,000 patients are participating in the U.S. settlement, which is valued at approximately $2.5 billion. Settlement funds are available to provide payment to U.S. patients who had an ASR hip implant system and who subsequently needed revision/replacement surgery related to the use of the ASR system. The ASR system was a metal-on-metal system that involved the use of a metal femoral cup and a metal replacement joint that fit inside of this cup. Like other metal-on-metal hip implant/ replacement systems, the ASR system was brought to the market under special 501(K) clearance rules that allowed for minimal pre-market testing before the FDA approved the medical device. To be eligible to obtain funds from the settlement, the plaintiff must have had a hip implant procedure prior to August 31, 2013. For patients who had surgery after this August deadline, there is already a program called Broadspire in place that provides support for necessary medical care related to the recall of the ASR system. A voluntary recall of the ASR system was issued in August of 2010 in response to post-market research in the U.K. showing a higher-than-normal revision rate among patients who used this metal-on-metal DePuy hip implant product. The settlement agreement that is now in place is expected to bring most ASR litigation activity in the United States to a close. However, there may still be some cases filed or pending that will not be covered by the settlement or by the Broadspire program, which means that plaintiffs could still continue to take court action against DePuy Orthopaedics. 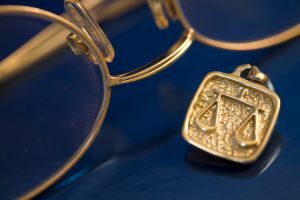 For plaintiffs who are eligible to receive compensation through the settlement, they generally will receive $250,000 each for the harm that they experienced. The majority of the payments that are to be made as part of the settlement are projected to occur in 2014, and Johnson & Johnson indicates that the payments will be made from currently available cash that DePuy Orthopaedics has, with no additional charge to the company’s earnings.